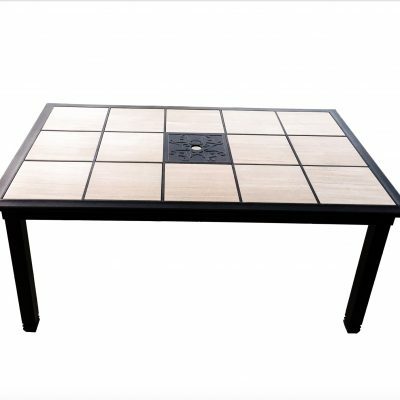 Convert your table into a center for making memories by adding the Generations series table grills. 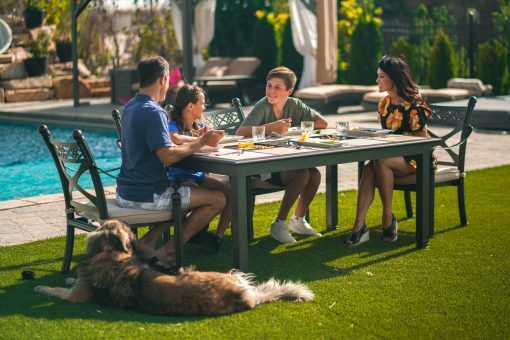 Whether you are enjoying a casual dinner with friends, or you are making meal time with the kids more memorable, this is the perfect addition to your home and patio. 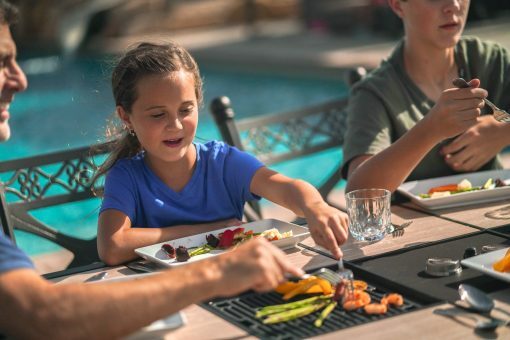 Make meals more interactive and start a new family tradition with a grill that is designed to last for generations. 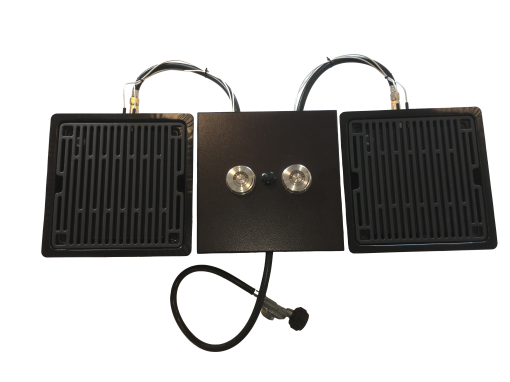 The Generations series dual grill and controls includes infrared burner grilling centers. 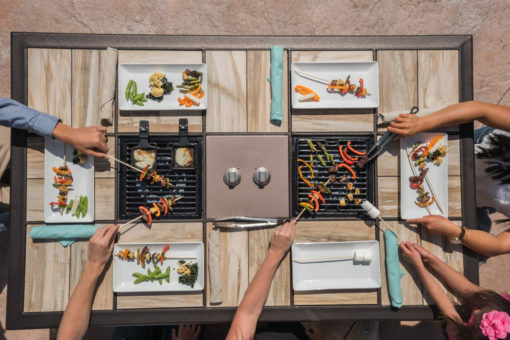 These high tech grills keep the heat localized to the food and away from everyone at the table. 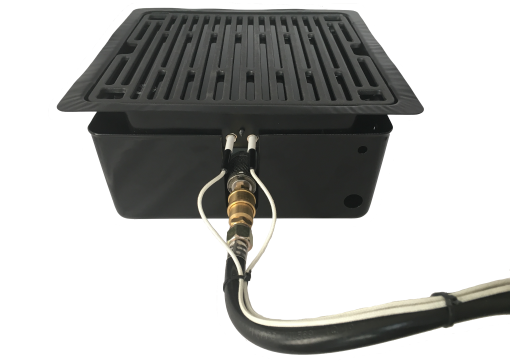 The high efficiency burners dramatically reduce the amount of emissions found in most tube turner grills. 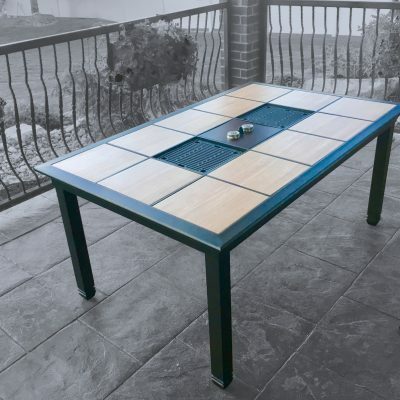 Our ready to go solution is designed to work with most commercially available tile tables that use a standard 12” tile. 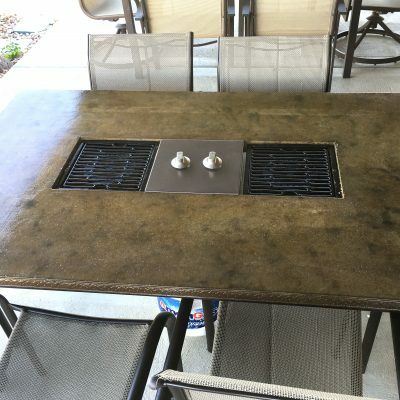 It includes a control panel and two single burner units. 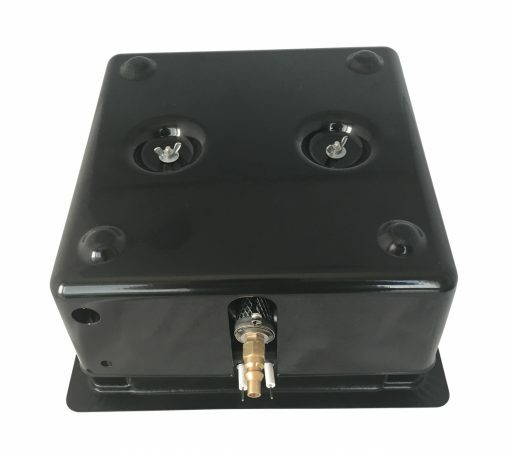 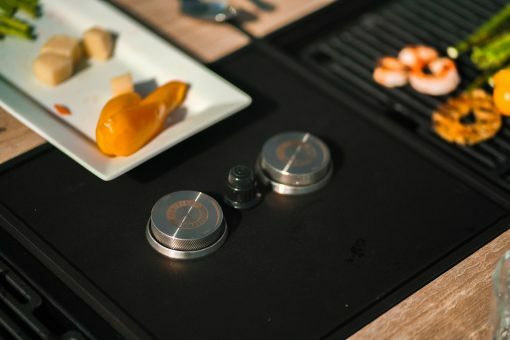 The control panel also contains an electronic ignition along with stainless steel knobs for each burner. 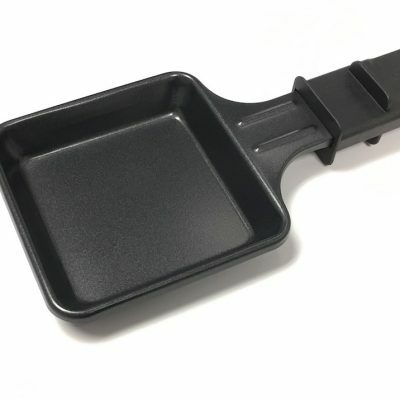 The metal grate is enamel coated for easy cleaning and very consistent cooking. 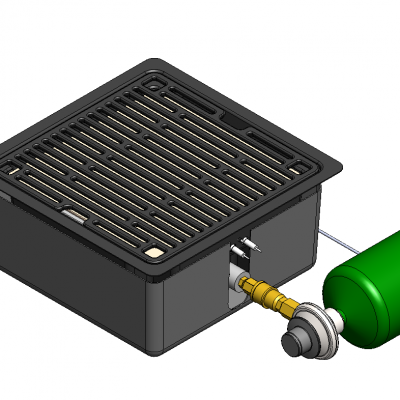 Installation is simple and can be done in a matter of minutes without any tools. 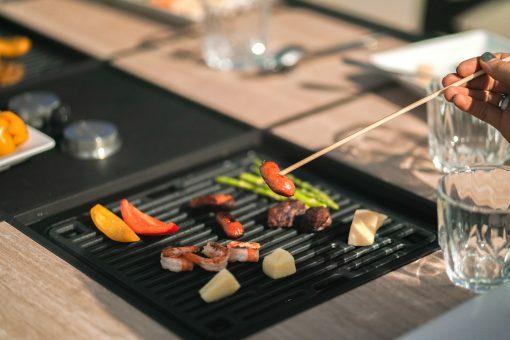 Each grill can be completely disassembled by removing three easy to reach screws allowing cleaning to be done on the seamless stainless steel pan and cover. 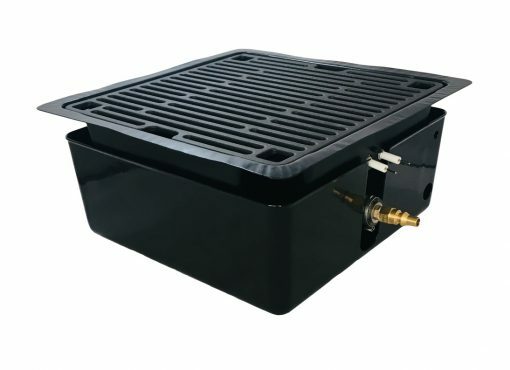 The control panel is also designed to work with additional accessories such as the fire pit insert to extend the evening. 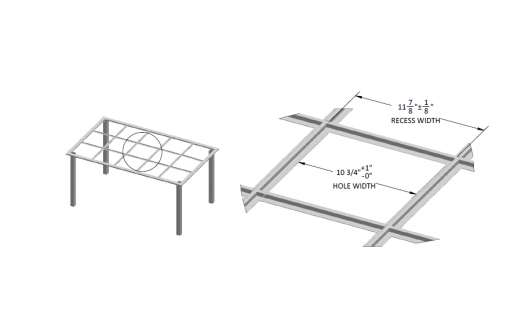 Check the measurement guide to see if your table is compatible with our system. 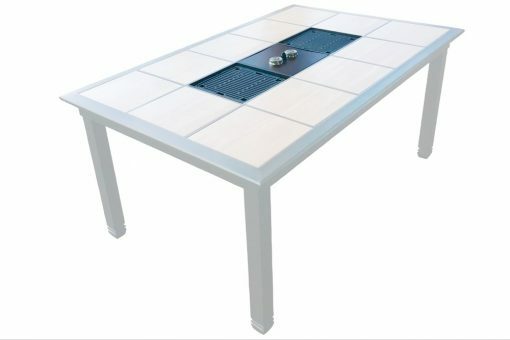 Table is not included in price. 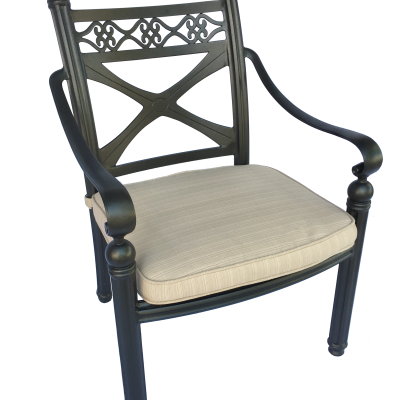 *Note, these units are not designed to be installed in boats or RVs.